I am looking for an compleat wiring diagram for 55 hp out board motor model trl-10r year 1968 thank you. i am looking for an compleat wiring diagram for 55 hp johnson out board motor model trl-10r year 1968 thank you. Hello. 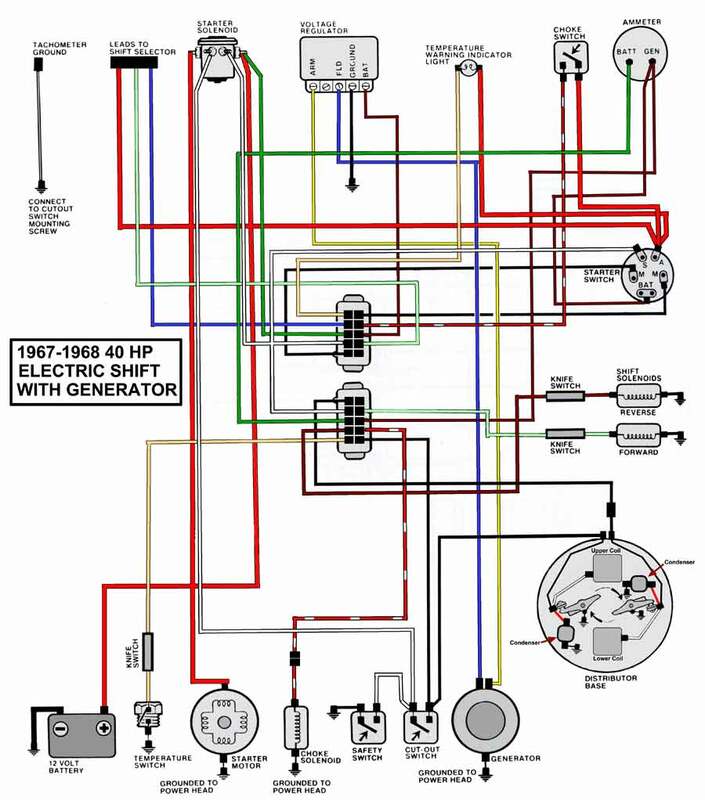 Your best bet for a wiring diagram will be to pick up a service manual like a Seloc that covers that model - it will contain the wiring information you need. Seloc manuals are available at most major boating stores (e.g., West Marine) as well as from numerous online sources. i know i can get an diagram from an book and i would buy one i just need an diagram to fix my motor. I will be happy to assist you. If you have a question or need clarification please post back at any time. I don't have a 55hp diagram handy but I may be able to help you with your problem. I do have a 40 HP which is basically the same. Hopefully this helps. Let me know if you have any questions. The vacuum switch is there for the shift system. With no power to the lower unit shift solenoids the unit is in forward gear. When the key is turned off this takes away power and the lower unit goes into forward. You don't want this to happen immediately so the vacuum switch keeps power to the lower unit and keeps it in neutral. There should be power through the vacuum switch at running speeds. Once the engine stops vacuum is taken from the vacuum switch and no power to the solenoids.